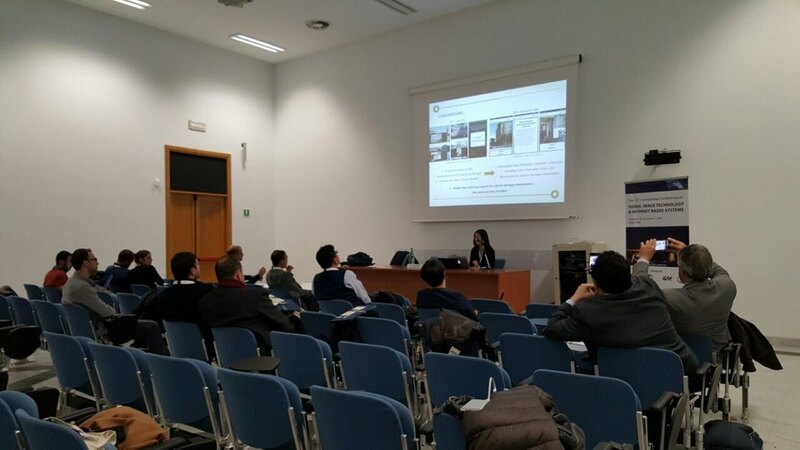 VICTA 2016 (The 12th International Conference on SIGNAL IMAGE TECHNOLOGY & INTERNET BASED SYSTEMS / 3rd International Workshop on Visions on Internet of Cultural Things and Applications) was held from Nov., 28 to Dec., 1, 2016 in Naples, Italy. Nohyoung Park, and Hayun Kim gave oral presentations of their papers. In this paper, we propose an all-in-one mobile outdoor augmented reality (AR) framework for a cultural heritage site. The framework was designed to incorporate computer vision-based augmented reality technology and ontology-based data-authoring technology. 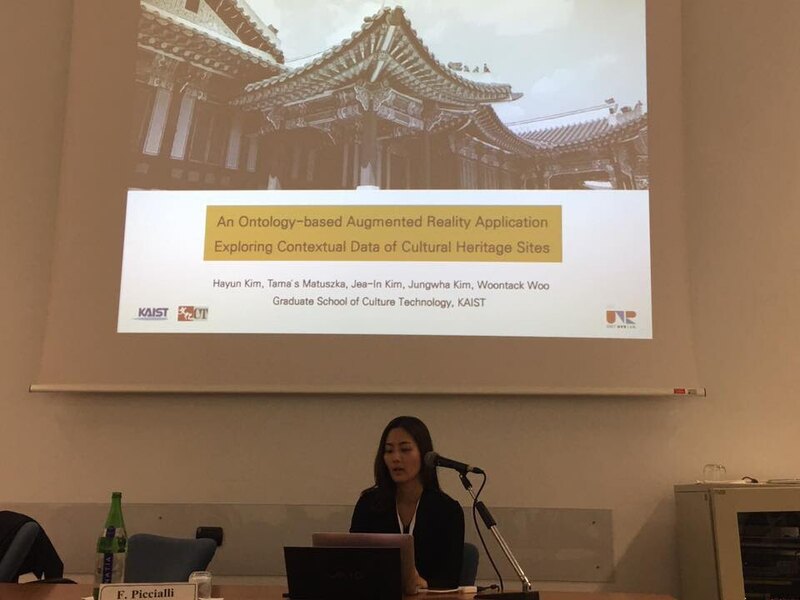 Through this framework, we clearly explain how to create 3D visual data for camera pose estimation and how to connect AR content with a cultural heritage site. In addition, we suggest a multi-threading camera tracking and offer an estimation model for mobile AR application. Finally, we have confirmed the efficiency and reliability of our framework. Through this vision-based AR framework, seamless AR application for a cultural heritage site can be made. In this study, we present a novel Augmented Reality (AR) application for providing contextual information of cultural heritage sites. Whereas most location- based AR systems are designed to show simple information on a Point of Interest (POI) in the real world, the suggested application offers information related to various cultural heritages including tangible and intangible heritages linked to the POI. This is accomplished by a cultural heritage ontology that aggregates heterogeneous data and reorganizes information in themes and relationships. The users can browse information such as the person who created the POI and events that took place at the location as separate entities. 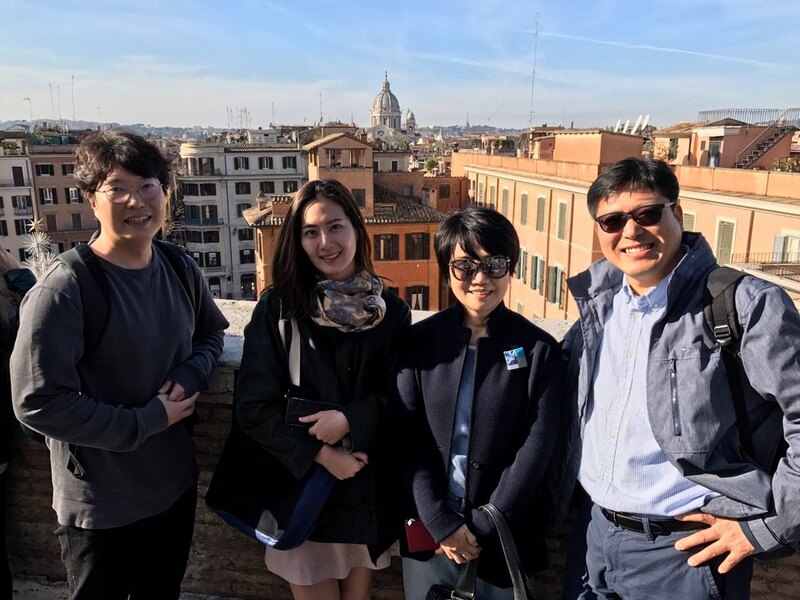 We implemented the application for Injeongjeon and the vicinity of Changdeokgung palace and conducted user studies to determine how people explore and consume contextual information at the heritage site. We provide directions that will be useful for designing information to support heritage site visiting, and discuss how the AR technology could improve the application.